Tyne Bridge Harriers have been allocated 2 guaranteed places for the 2012 Virgin London Marathon that will be made available to fully paid up members of the club. This is a very exciting opportunity for two lucky athletes to be representing Tyne Bridge Harriers in one of the most prestigious Marathon events in the World and in Olympic year also. 2 draws will take place to allocate the numbers to anyone who would like the chance to take part. 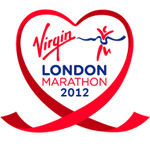 Draw 1 will include those athletes who were unsuccessful in the VLM 2012 Ballot. If you would like to be included in this draw. You will need to produce your VLM rejection slip to register your interest. Draw 2 will include all interested athletes in the club plus the names of the unsuccessful applicants from Draw 1. Both Draws will take place on Thursday 17th November prior to the training session at East End Pool, Byker. ** Please note that if you are a successful club entry place winner, you will still be required to pay the VLM entry fee. Unfortunately guaranteed entry does not mean free entry. To all interested parties, the two draws will take place on Thursday, 17th November, prior to the club session, so get your names in quick.